Biofilms are complex and dynamic communities of surface-attached microorganisms held together by a self-produced extracellular polymeric matrix, forming a highly hydrated structure. It is known that there is considerable heterogeneity within biofilms with respect to local environments, which may result in spatial and temporal patterns of gene expression. 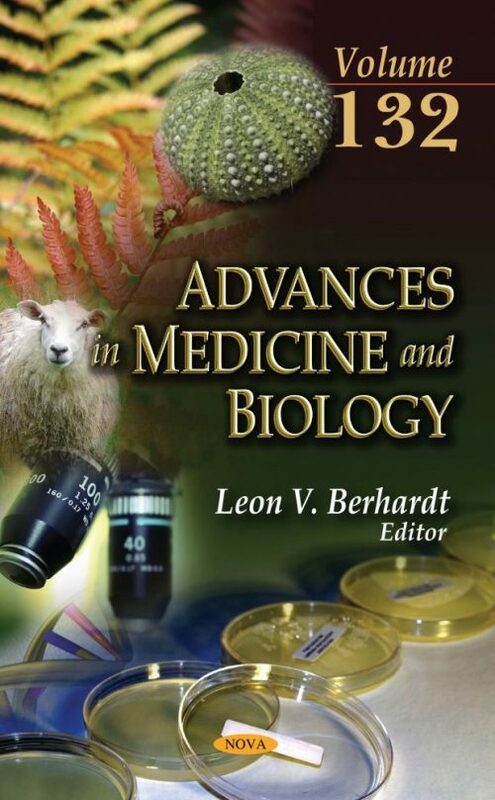 Advances in Medicine and Biology. Volume 132 begins by discussing the use of GFP to explore these microbial communities, presenting the most recent developments associated with GFP variants and novel applications of this molecule in biofilm research. Next, the authors discuss the fibrinolytic and its important role in reproduction. Plasminogen Activator Inhibitor-1 (PAI-1) is one of the primary regulators of theﬁbrinolytic system and is expressed in various cells including ovarian granulosa and theca cells, endometrial cells and trophoblasts. This overview provides the current knowledge on the role of PAI-1 and PAI-1 gene mutations in reproduction. Green fluorescent protein (GFP) is a bio-luminous fluorescent phosphoprotein which was originally isolated from the luminous organ of the jellyfish Aequorea Victoria. At the molecular level, it is composed of 238 amino acids with an approximate molecular weight of about 27 kDa. The authors discuss the role of GFP in animal diagnostic technologies, molecular tracking techniques using GFP as fusion tags in studying protein–protein interactions and real time monitoring of host pathogen interactions. In the authors’ Immunoallergology Department, a recent study of 64 CSU patients treated with omalizumab provided pertinent information. Overall, the patients had a reduction of the UAS7 score of 5.82% per omalizumab administration (pOa) and of the DLQI score of 6.69% pOa (data not published). However, when patients were divided according to their baseline serum total IgE levels (STIgE), patients with higher STIgE had a much faster response to omalizumab. The results of this study are discussed in detail. The subsequent chapter aims to explore the diagnosis and management of gastrointestinal stromal tumours (GISTs) that arise from the small bowel in both metastatic and non-metastatic disease. GISTs account for two per cent of all neoplasia of the gastrointestinal tract. They represent the most common GI mesenchymal tumour with a worldwide incidence of 11-15 per million and a median age of presentation of 55-60 years. Diabetes insipidus (DI) is examined as one of the major clinical syndromes characterized by the excretion of copious volumes of diluted urine (polyuria) together with persistent intake of abnormally large volumes of fluid (polydipsia). Investigation of the chronological changes of hyper intensity (HI) distribution over the pituitary stalk and the posterior lobe after transsphenoidal surgery on MR images might enable to predict how frequently postoperative diabetes insipidus occurs and how long it persists, and to elucidate an underlying mechanism for the appearance of the HI in the pituitary stalk. In the following chapter, the authors discuss salient aspects of central nervous system effects of methionine and methionine metabolites in relation to behavioural, neurochemical and possible structural alterations. The possibility of the evolution of conventionally-approved clinical applications of oral methionine, and the potential limitations to its utilisation in such capacity are also considered. Later, this collection considers the functions of Gamma-Aminobutyric acid (GABA) in pharmacology and diseases. The authors aim to address what GABA is, how GABA reacts, and what GABA-related diseases and agents exist. GABA is the principal inhibitory neurotransmitter of the vertebrate central nervous system, acting at inhibitory synapses in the brain. In the concluding chapter, the authors address how gabapentin, a synthetic analog of GABA, may be an effective analgesic used to treat different types of neuropathic pain syndromes, including diabetic neuropathy, postherpetic neuralgia, trigeminal neuralgia, painful neuropathy resulting from HIV infection, cancer pain, fibromyalgia, pain after burn injury, and complex regional pain syndrome. Chapter 3. Refractory CSU: What Is beyond Antihistamines?